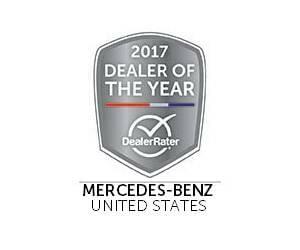 RBM of Alpharetta has been named a 2017 DealerRater Mercedes-Benz Dealer of the Year Award winner not only in the state of Georgia, but in the U.S. as a whole. Find out why we earned this recognition and what sets us apart, and as always, we encourage drivers from John’s Creek and beyond to keep in touch with our dealership for all of their Mercedes-Benz needs. Your experience is our difference! What is the DealerRater Dealer of the Year Award? RBM of Alpharetta’s receipt of a 2017 DealerRater Dealer of the Year Award means that customers who visit our dealership have been overwhelmingly satisfied with their experiences, and have discovered a sales team that puts them first no matter what. The award goes to dealerships across the United States and in Canada that provide excellence in customer service, as evidenced by consumer reviews posted on DealerRater.com. The quality and sheer number of reviews are what propel dealerships to be deserving of this award. Why Did RBM of Alpharetta Win the Award? The 2017 DealerRater Dealer of the Year Awards are the result of online-based reviews from both new and used car shoppers, as well as from customer’s of a dealership’s service department. RBM of Alpharetta was evaluated based on customer service, quality of work administered, friendliness, pricing, and overall experience. Within all of these categories, our dealership earned consistently high ratings, which led us to the top of our class among Mercedes-Benz dealerships. As a result, RBM of Alpharetta has been recognized as the best Mercedes-Benz dealer to do business with in the U.S. Given that DealerRater has an audience reach of over 40 million consumers and consists of 3 million dealer reviews, the fact that RBM of Alpharetta received this recognition points toward our commitment to customer satisfaction, and our efforts are clearly making their mark. We always strive to keep drivers in the area as content as possible, and they’ve repaid us by bestowing this honor. Visit RBM of Alpharetta Today! We want to show all of our customers why we’ve been named a 2017 DealerRater Dealer of the Year Award winner! Read some of our customer testimonials before heading our way to see what we can do for you. Get in touch beforehand if you have any questions!